Radon System Installed by myself - Easy and Worked!! 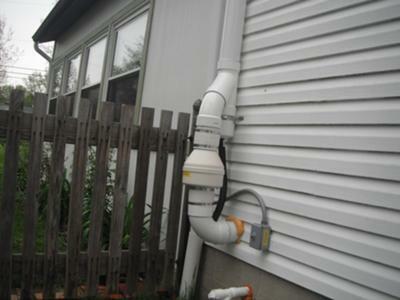 After much research of Radon Mitigation Systems, I decided to take on the project myself. Indoor Air Health Advisor offered everything I needed, and had the best prices. Val personally helped me with the selection of the fan model as well as other components needed for the system. After getting some long PVC pipes from the local hardware store, I had everything needed for installation. After getting over the fear of cutting a hole in the side of the house, the installation was much easier than expected and only took me half a day. With the fan mounted outside, you can barely hear any noise in the basement, and it doesn't take up any more space than the sump pump in the corner. I'm extremely glad I chose this option rather than paying more than 3x the amount for a local profesional. 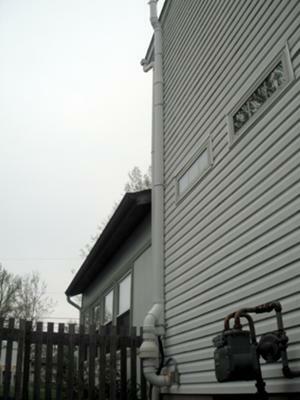 Before the system was installed, my radon level was 7.3 pCi/L. Now I'm less than 0.3pCi/L. 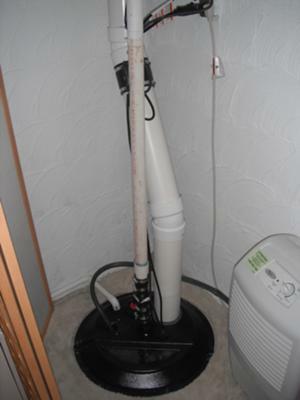 I'd recommend this option for anyone thinking about having a Radon Mitigation System installed. Comments for Radon System Installed by myself - Easy and Worked!! I believe the sump was installed when the house was built and probably with a drain tile system. 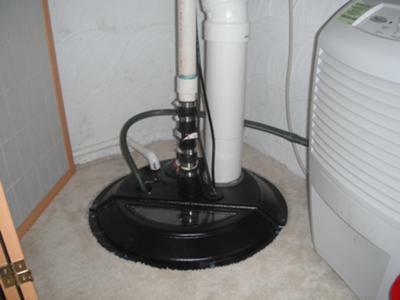 Installing a sump for a radon system is usually not necessary. A 4.5" hole is usually made and pit dug below the floor. The type of material found beneath the floor will determine the type of fan required. Fill out a contact form on my site if you need more advice. What was your under-slab material? Did you find gravel or sand under the basement floor when you installed the sump pit?